Judge Claudia Wilken's courtroom is home to the Ed O'Bannon v. NCAA lawsuit, a case that calls into question the very notion of college athletics. OAKLAND, Calif. -- For the first half hour of the college-sports trial of the century, Claudia Wilken judged not. With her salt-and-pepper hair and wire-framed glasses, the chief judge of the Northern District of California's federal courts looked the part of the wise, berobed jurist. But a few minutes into the testimony of Ed O'Bannon, the former UCLA basketball player who is suing the NCAA for the right of college athletes to market themselves, it was possible to forget she was there. Then her role shifted. Michael Hausfeld, O'Bannon's attorney, lost the thread during questioning. He poorly phrased queries about when O'Bannon and his UCLA teammates did course work during the NCAA tournament. Did they take their final exams before or after the last game? O'Bannon was perplexed, asking Hausfeld to repeat the question. Wilken interjected. "I think your question is a little confusing because the timing of the last game depended on how far [UCLA] went," the judge said, firmly but politely. "Clarify that." 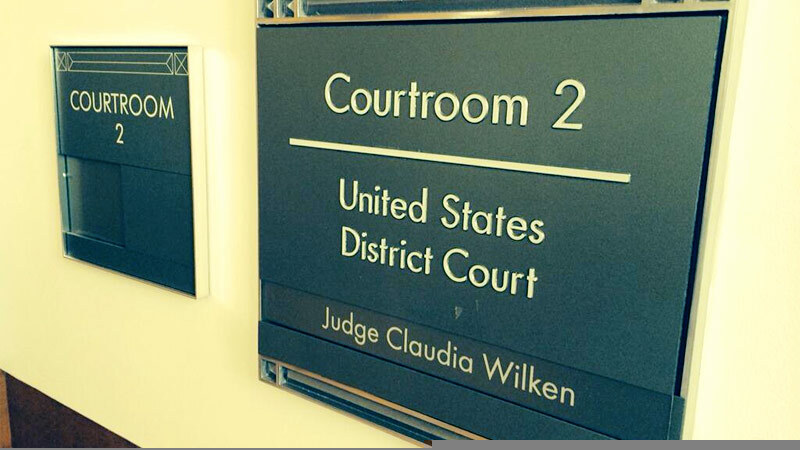 In Claudia Wilken's courtroom, she insists that no one rise as she enters. This is how Wilken, the most important referee in American sports right now, officiates. Months ago, she refused the NCAA's request to make this a jury trial. She alone will decide the most important NCAA lawsuit ever. But in the courtroom, she lets the attorneys and witnesses play. When she did step in during the first week of the trial, it was usually to coax more information onto the record and lend clarity to some of the murkiest issues in the athletics-industrial complex. If Wilken is direct, civil and understated, the cases under her supervision are anything but. The Northern District, which includes courts in Oakland, San Jose and San Francisco, is the epicenter of a series of hard-fought and potentially earth-shaking sports litigation. On the district docket are cases that could change the NCAA forever: the O'Bannon trial; the Sam Keller case, in which the NCAA and Keller's attorneys just announced an agreement on a $40 million settlement over video game proceeds; and a pair of more recent filings, one brought by former West Virginia player Shawne Alston and another by sports-labor attorney Jeffrey Kessler, which take aim at college scholarship limits. Then there's the class-action suit brought this spring by former Chicago Bear Richard Dent and other pro football players against the NFL, claiming that teams jeopardized player health by negligently administering painkillers and other drugs. Yet another case with huge potential ramifications, the city of San Jose's antitrust suit against Major League Baseball, which focuses on MLB's efforts to block the Oakland A's from relocating, originated in the Northern District and will be argued later this year before the 9th Circuit Court of Appeals in San Francisco. So how did these cases all end up in the Bay Area? You can't discount the district's plaintiff-friendly reputation. Stanford law professor William Gould, an expert on sports labor law, says the 9th Circuit, which encompasses California and eight other western states, is far less conservative than other appeals courts around the country. "The 9th Circuit is the more liberal-slash-middle-of-the-road court of appeals compared to just about every other circuit that still are dominated by and influenced by a disproportionately high number of Reagan and Bush appointees," Gould says. "It's been that way for decades." Long shots have a better chance here. San Jose, for instance, had its A's relocation case thrown out by a judge in the Northern District, who cited previous decisions upholding MLB's right to block team relocations. But the city is appealing the decision in the 9th Circuit Court. "This is going to be a very tough case to win because it runs up against almost a century of Supreme Court precedent to the contrary," Gould says. "But if there's a place to win it and to distinguish that precedent, this is the place." First, though, each plaintiff had to find a legitimate connection to that area to be able to file a federal lawsuit. Says Brian Porto, author of "The Supreme Court and the NCAA" and a professor at the Vermont Law School: "You can't just sue somebody in any particular place because you might think you'll find a more liberal judge or a more conservative judge. In this instance, there were some links." O'Bannon, a Las Vegas resident, originally sued EA Sports and the NCAA for using his likeness in a video game long after he left college. EA's business address in the Bay Area community of Redwood City, as well as the presence of NCAA programs Cal and Stanford, was more than enough justification for locating his suit in the district. Likewise, San Jose's MLB action, which challenges baseball's "territorial rights" policy as the city seeks to lure the A's to the South Bay from Oakland, makes sense if you look at a map. Dent, an Illinois resident, justified filing his painkiller suit in the Northern District by saying that he played a year with the 49ers, as did another plaintiff in the case, Ron Stone. The presence of two NFL teams in the Bay Area fulfills federal jurisdiction requirements, says one of Dent's attorneys, Mel Owens, a former linebacker for the L.A. Rams. Besides all of that, it matters that the Bay Area has a deep bench of plaintiffs' attorneys, says former federal prosecutor Rory Little, now a professor at the Hastings College of Law in San Francisco. "There are just a lot of good lawyers here -- particularly a lot of good plaintiffs lawyers -- who have a lot of resources, so they're willing to take on the big boys," Little says. Plus, the weather's nice, the food's good, and it's easy to get around. Owens says it's faster to fly to San Francisco from Irvine, California, where his office is, than it is to fight the traffic to get to federal court in Los Angeles. "Antitrust cases are huge, sprawling, document-intensive cases," Little says. "If you're going to hang out in a hotel somewhere for a couple years, it's not a bad place to hang out." Even more NCAA cases could be heading out west soon. The federal courts try to bundle cases with similar issues even if they are in different parts of the country, so that experienced judges preside over them. That's why a federal multidistrict litigation panel moved Kessler's scholarship case from New Jersey, where it was filed, to Wilken's courtroom last week. That specifically turns Wilken into a critical figure in the current debate on the future of amateurism. Wilken, a Democrat appointed to the Northern District in 1993 by Bill Clinton, has a reputation as a liberal in line with her district. She struck down a ballot initiative that instituted term limits for state legislators in the '90s, a ruling that was overturned on appeal. More recently, she issued a ruling defending gay marriage by striking down the federal Defense of Marriage Act and ordered California to provide accommodations for disabled prisoners housed in county jails. For a time in 2012 and 2013, she was part of the first federal courthouse without a male judge, as all six federal judges at the Oakland court were women. 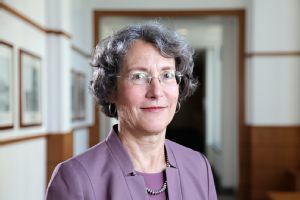 Born in Minneapolis in 1949, Wilken attended Stanford as an undergraduate and graduated from Cal-Berkeley's law school in 1975 in the same class as her husband, John True, who is a California state judge. She worked for three years as a federal public defender out of law school and worked in private practice in Berkeley from 1978 to 1983, when she earned an appointment as a federal magistrate. A decade later, the Senate confirmed her as a district judge. She has been the chief judge of the Northern District since 2012 and announced she will step down from that post in the fall. Local court watchers say her tenure as chief judge has been marked by an absence of drama. Cases move through the system in an orderly fashion. Though her caseload of late features the NCAA, Wilken has preserved her low profile. She's had few stories written about her and rarely has given interviews. "She's going to follow the law," Little says. "She's not going to do anything that's way out of the mainstream just to get a headline." Indeed, in a local public radio story about the all-women bench in Oakland that included interviews with the judges, Wilken isn't even quoted. When she enters the courtroom after a break, the clerk demands that the people remain seated. "All rise" isn't part of the proceeding. Yet Wilken has no trouble keeping order in her court. In the testosterone-laden arguments of O'Bannon v. NCAA, the mostly male legal teams and experts often lapse into "mansplaining" displays, at times talking over each other and the judge. But Wilken's quiet demeanor commands respect. After being interrupted by NCAA attorney Rohit Singla, Wilken reminded him, "You really can't start talking until I finish." Her no-nonsense, consensus-seeking style sits well even when her decisions don't. "I've never heard of someone leaving a meeting and saying, 'I'm really angry at Claudia Wilken,'" Little says. So far in the O'Bannon trial, Wilken has shown no signs of being awed by the media crush and sports celebrities filing into her courtroom every day. Her rulings and statements in court last week indicate an open mind, often leaning toward including rather than excluding information. During testimony from long-winded Stanford economist Roger Noll early in the week, Wilken stated, "I'm asking for clear definitions of who's harmed" by NCAA policies. At another point during Noll's nearly 11 hours on the stand, she told the attorneys, "I would like someone to give me a high-level overview of where the [NCAA] money goes." After attorneys from both sides finished questioning Noll, Wilken asked him to expound on how well athletes are integrated into a college's academic life. And when Singla started a round of questioning using the term "pay for play," Wilken calmly ordered him to define his terms: "Use actual meaningful words as opposed to aphorisms." A huge issue in any antitrust case is proving that an alleged antitrust practice, in this case the NCAA's failure to compensate players for the names, images and likenesses, hurts the broader market. More than once, Wilken asked the O'Bannon side who besides the players is harmed by the NCAA's practices of limiting player endorsement opportunities. Hausfeld rephrased questions to his expert witness, Noll, trying to arrive at an answer, and Noll testified that companies that would otherwise license player-related goods "are precluded from selling, so consumers are deprived." Hausfeld looked hopefully to the judge. "Does that help, your honor?" Wilken responded, politely, of course, "I'm not going to answer that." Not yet. There are still two more weeks left in the trial. But when Wilken finally does decide, in her own quiet way, to answer these and the myriad other questions surrounding her cases, all of American sports will be listening.